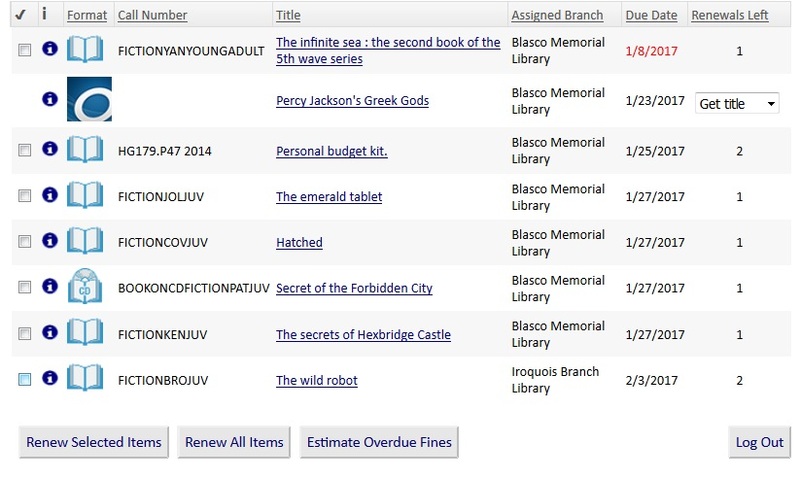 All library materials may be renewed online provided: 1) your account is in good standing (less than $10.00 in fines/fees), 2) the item is not on hold for another patron, and 3) the item has not been renewed twice before to your account. After connecting to the catalog, enter your “Library Card Number” and “PIN/Password.” Your “Library Card Number” is your 14 digit library card number (without spaces) and your “PIN/Password” is the 7 digit phone number (no spaces, no dash) we have listed on your account unless you have changed it. Please note: all new library accounts created on or after January 2017 have a 4-digit Password. You will see a list of items you currently have checked out. Mark your selections by choosing individual items, then click on “Renew Selected Items, or to renew all items on your account, select the “Renew All Items” option. Please remember to log out of your account when finished. This is system is available 24 hours a day, 7 days a week. 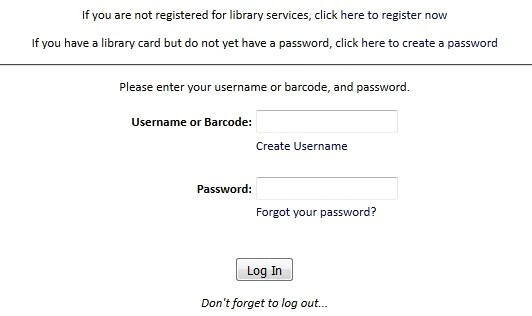 You will need your library card number and Password/PIN to use this system. NOTE: Your Password/PIN is the last 4 digits of your phone number unless you have changed it. The automated attendant will prompt you for the information needed to renew your items. To renew your checked out items: call 814-455-2475. Your call will be answered by an automated system.